Dr. Nielsen attended Brigham Young University in Provo, Utah and graduated with a B.S. in Exercise Science in 1997. He earned his Doctorate of Chiropractic from LACC in 2002. Upon graduation he pursued post graduate studies from a variety of sources including over 200 hours of functional neurology at the Carrick Institute of Neurology. He received training in Functional Endocrinology and Functional Blood Chemistry studies with Dr. Datis Kharrazian and Neuro Emotional Technique and Kinesiology (applied kinesiology) under Dr. Kris Peterson. Dr. Leaf, and Dr. Mladinoff were influential in presenting Sports Medicine correlations to applied kinesiology. Drs. Tim & Bill Brown strongly influenced his education in sport taping and functional adjustments for athletes. He has also studied under Drs. Petra Wiechel and Frank Schulze at the Paracelsus Clinica Al Ronc in Switzerland and Dr. Jose Calzada at the Calzada Clinica Medicina in Mexico. Dr. Nielsen also received an Ozone Therapy certification under Dr. Robert Harris and Dr. Philip Mollica as well as Hyperbaric Oxygen Therapy dive certification through the Hyperbaric Institute of Nevada under certified dive master, Jon Dembo. Dr. Nielsen enjoyed lecturing to the Dental community for 6 years and has taught many functional endocrinology and supplementation classes. He also enjoys mentoring and providing internships for Chiropractic students and graduates. Dr. Nielsen practiced in Hermiston, Oregon from 2002-2004 and then in Grants Pass, Oregon from 2004-2010. In the fall of 2010 he fulfilled a lifelong dream of practicing in the beautiful Heber Valley, moving his family to Heber and opening The Nielsen Clinic. 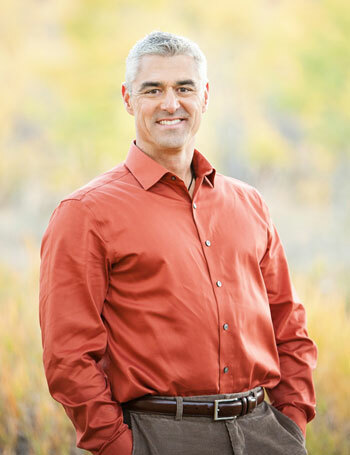 Dr. Nielsen has taken full advantage of all that this beautiful valley has to offer and enjoys spending time with his wife and 2 children doing anything outdoors, participating in the Boy Scouts, skiing, and horseback riding, just to name a few!